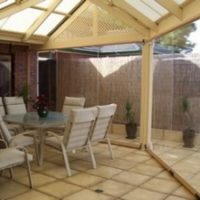 Our Cafe Blinds made in Adelaide are a high quality zippered edge blind secured at the top and sides with spline and rope track with zippers down each side. 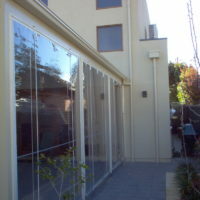 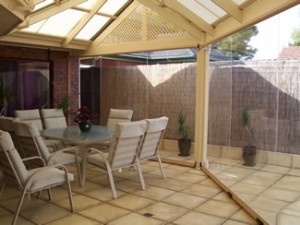 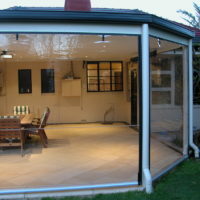 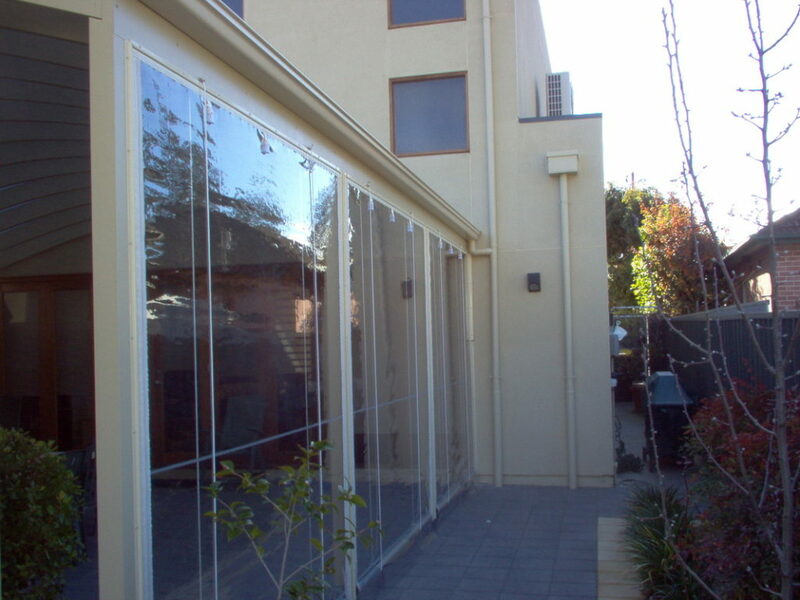 The blinds in Adelaide are manually rolled up around the bottom tube or can be assisted by an optional rope and pulley kit. 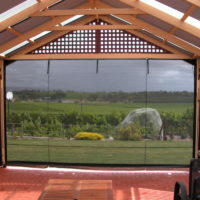 The blind is then secured at the top with straps and buckles. 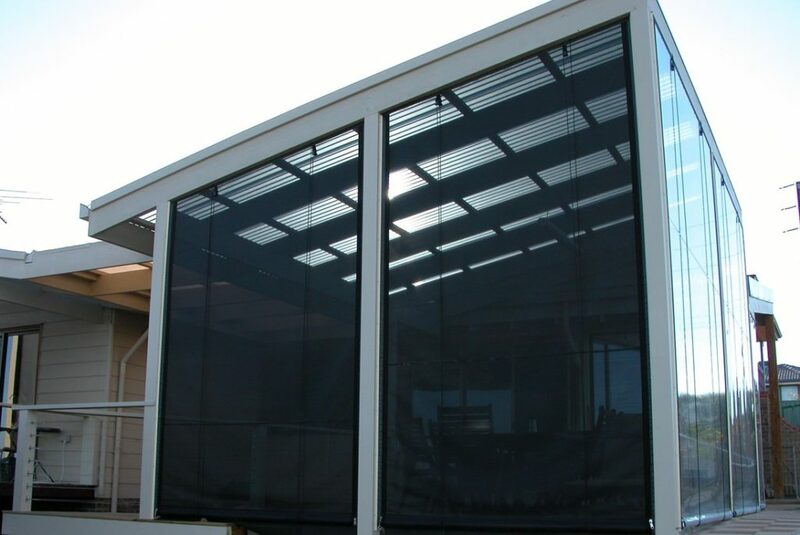 Featuring high quality materials and a wide choice of fabrics including popular clear and tinted PVC, and various shade mesh solutions, Café style outdoor blinds can provide shelter from the elements, UV protection and will complement any outdoor entertaining area. 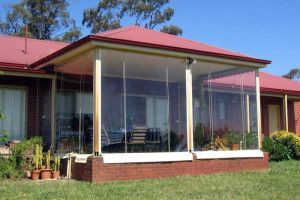 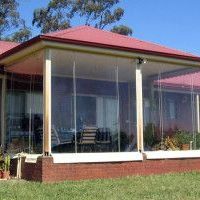 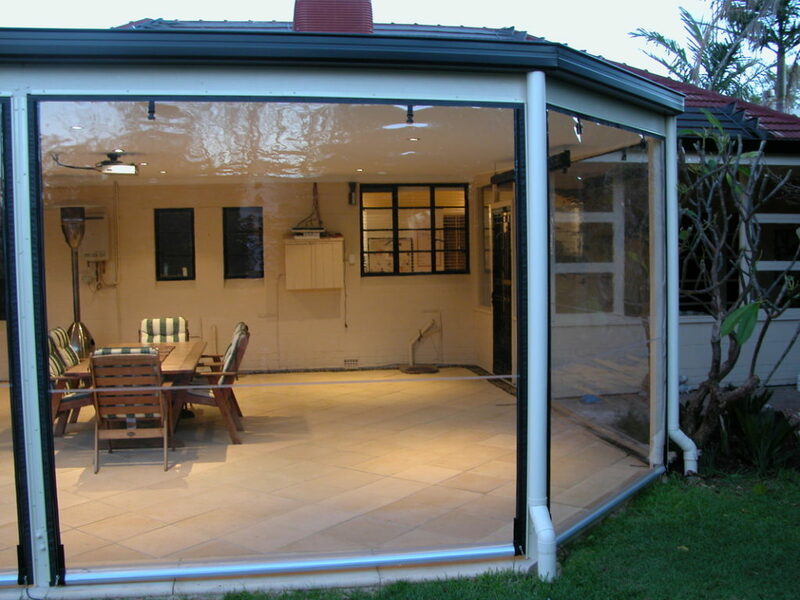 We use only a high grade PVC but remember that PVC is not glass and can have a great deal of shrink and stretch in them, they also require some form of upkeep and maintenance so prevent them PVC from going cloudy. 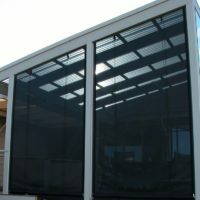 We prefer a 95% mesh based product like the popular outlook mode fabrics , which is available in a huge range of colours to suit. 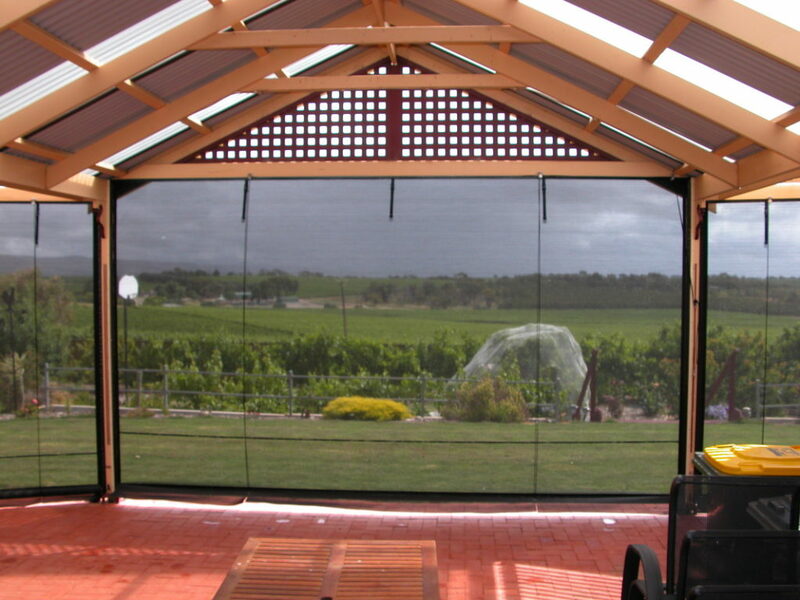 The versatility of this product makes it very popular as they can be tailored to each individual job with custom solutions for doorways, valances, pitched roofs, obstacles, cut outs and much more.